High Quality Leads for your Low-Cost Franchise Only Pay for Leads you Receive. No Retainers. No Setup Fee. No Games. FranchisesUnder10k.net is the only franchise directory that specifically targets low cost franchises. 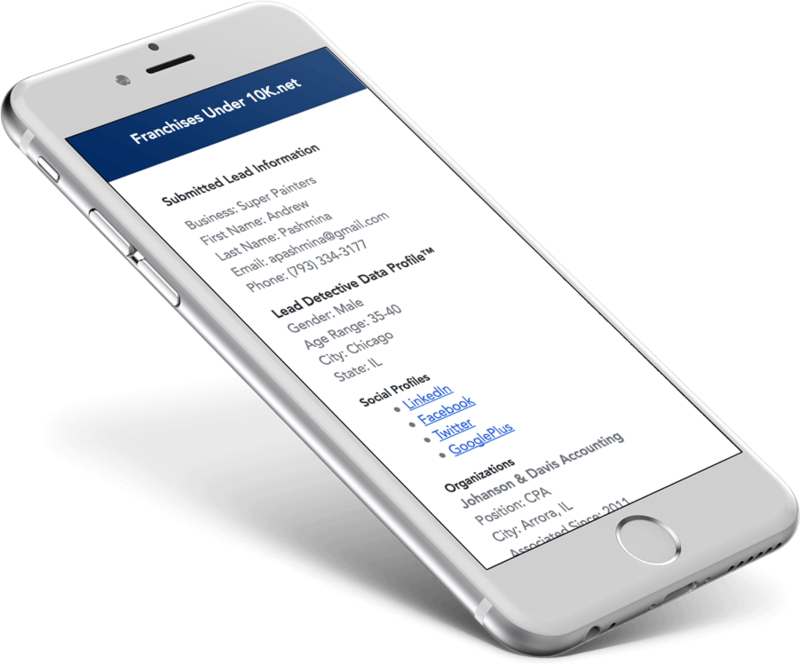 With this focus in mind, our franchise lead generation team is able to drive high quality, super targeted traffic, creating more qualified leads which will convert better for you. 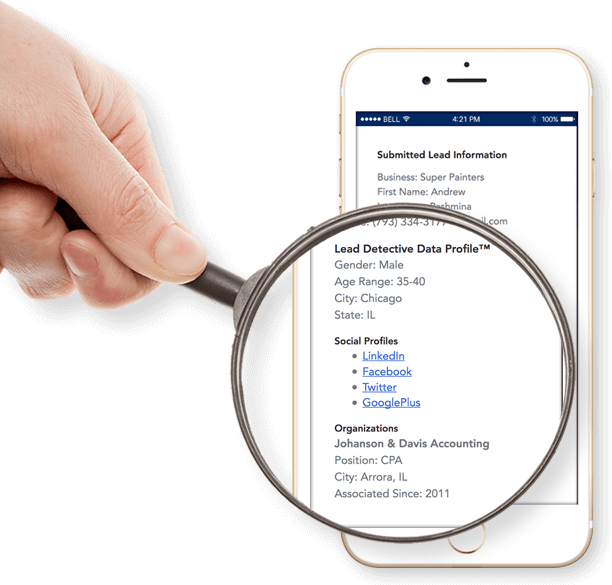 Lead Detective Data Profile™ to help you close your deals. No setup fees. No retainer. Fair lead pricing based on your minimum investment. Only pay for leads you receive. Our exclusive Lead Detective Data Profile™ algorithm tracks down additional details on your leads. Our system finds related information about each lead when available. You can use this personalized information to get to know your lead better, and therefore, to close more deals.